Scope and Requirements The objective of this project is to provide water for drinking and cooking in places where access to water is limited. A dehumidifier is operated using solar panels and rechargeable batteries to condense water vapor in the atmosphere. 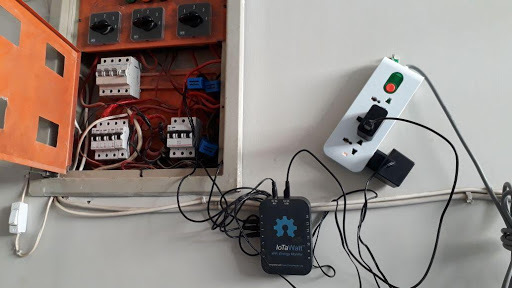 In this phase of testing, our intent is to establish a methodology assess the performance of the system, as well as put a data acquisition system in place to enable remote monitoring over time. 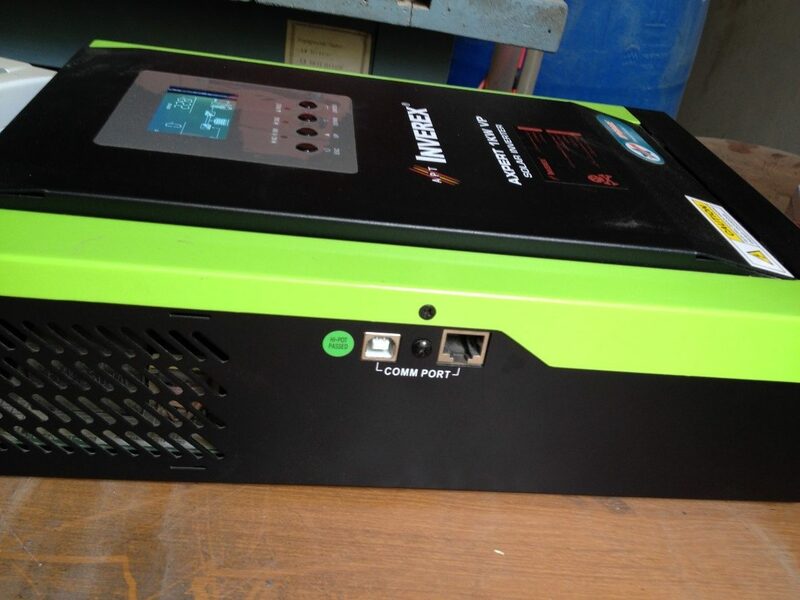 Axpert KS 1 KVA Inverter: The inverter used in our project can be connected to different monitoring and control systems via serial port. 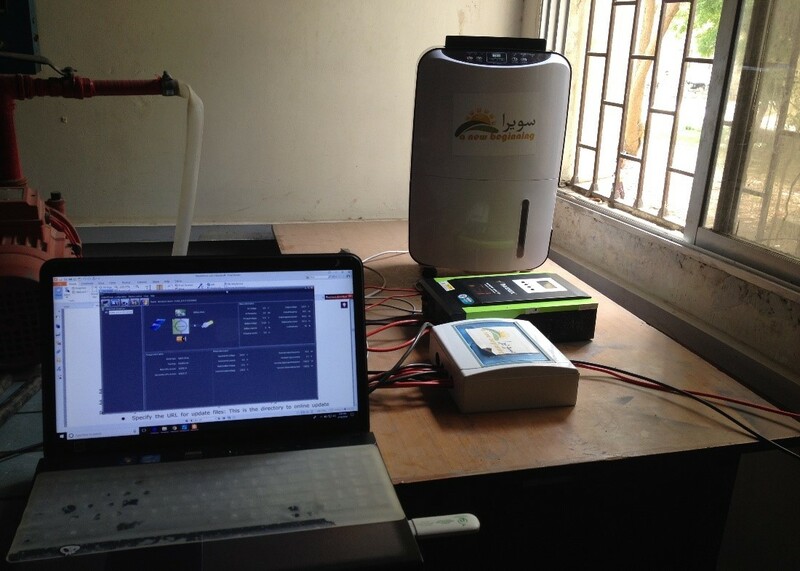 It uses MPPT to manage solar panel output, and provides pure sine wave AC output using DC input from the batteries. 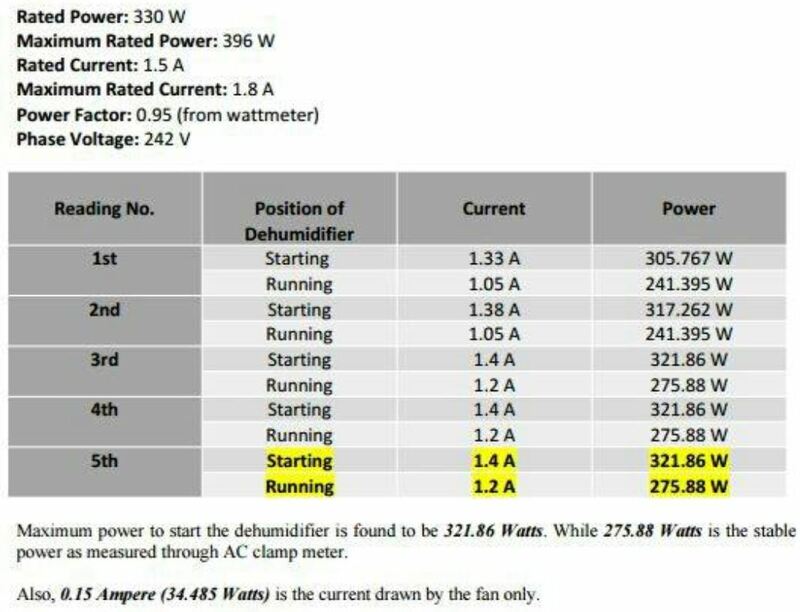 Power Consumption The power consumption of the dehumidifier is shown in the table below. Clearly, the power during startup of compressor will be highest, and will fall a bit during steady-state operation. The particular dehumidifier cuts-off at 40% relative humidity. “Al-Mustafa My home Orphanage” is situated near Korangi no.1, a thickly less privileged area of Karachi. It occupies a wide area. All the area is surrounded by boundary walls and there are three gates for the entrance. There is a guard available on the main for security purposes. It also consists of a Medical Centre, a girl’s college and an orphanage. In my observation the place is safe for the installation of our solar power project. It can be place at the top of the children hostel. Power outage has been a serious problems in the areas of city like Orangi and Korangi etc. There has been a power outage of more than 8 hours in the day time. The people are suffering from these problems. 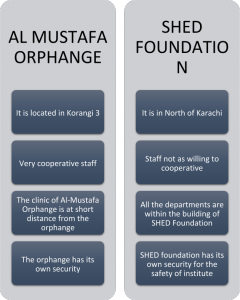 Al-Mustafa Orphanage has a small generator only covering the needs of an Orphanage. They don’t even have some facility for the clinic which is available at low cost for the poor. 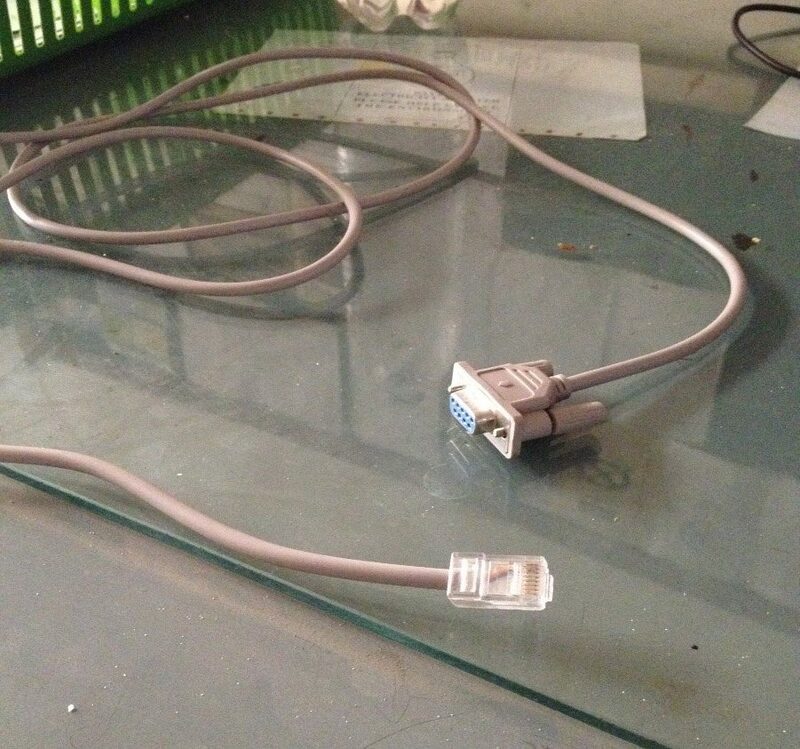 I also consider it safe for our installation. Also the authorities are more friendly and co-operative than any other organization. 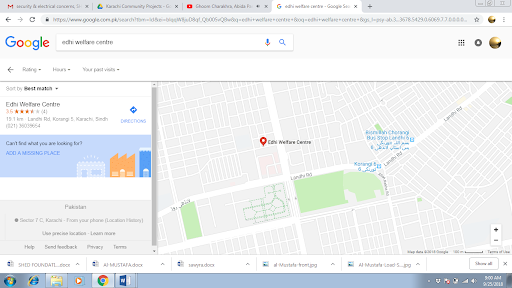 SHED Homes Complex & Hospital, Beside Aiwan-e-Sanaat o Tijarat Hospital. 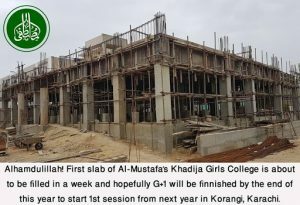 We can do our installation at the top of the building of children hostel. All the area is surrounded huge boundary walls and there is a guard available 24 hours at SHED main gate. It is located in the North of Karachi in a thickly populated area near Nagan Chowrangi. Power outage has been a serious problems in the major areas of city but in SHED Foundation the power outage problem is controlled by a stand-by generator available. 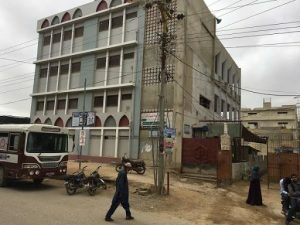 This generator covers the School, mosque, mentally ill building section and senior citizen shelter. 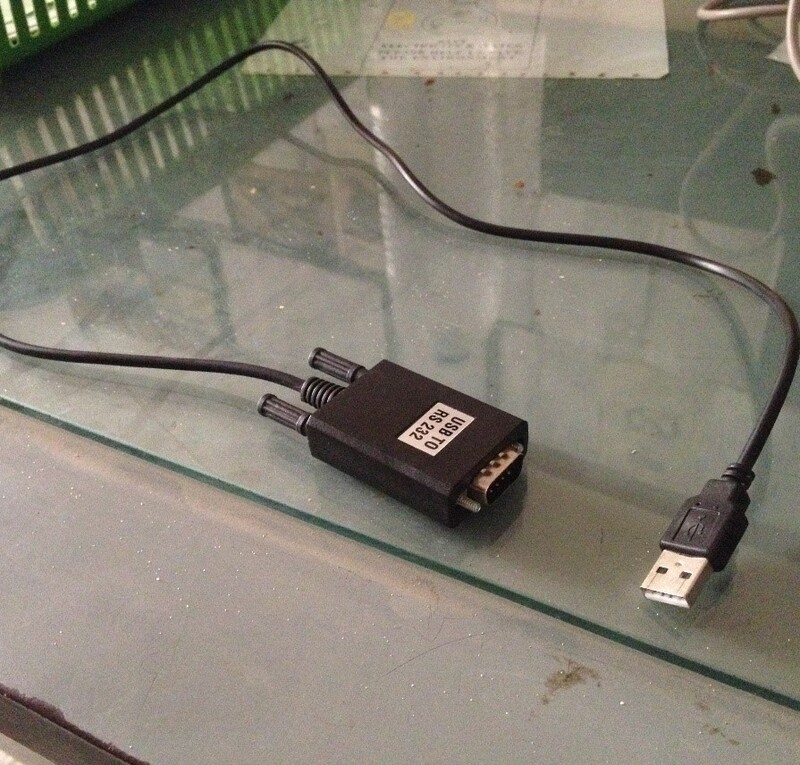 It has a huge power output. There has been a power outage of more than 4-5 hours in the day time. The people are suffering from these problems. The visit that took place by the team to both the places have well-constructed infrastructure with quite of load including both of necessity and luxury which leads to the prior decision of the load capacity that Sawayra would agree to provide with. The following details contain the no of load in respective organizations. 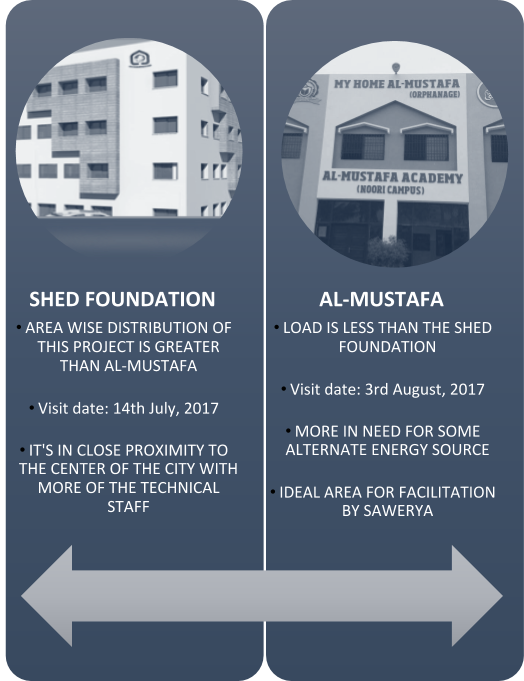 After a through comparison of both the respective organizations it was decided that Al Mustafa was more suitable for Solar Panel Installation hence it was selected for this project. After the project location was selected it was decided that an energy audit was to be performed. For this four vendors were contacted. The Process of industrial energy auditing would be too expensive for a load this simplistic. It consists of three terminals for connecting output of Current Transformers. It consists of only two terminals for connecting Current Transformers. It monitors up to 14 circuits. We can analyze or see it’s circuit We haven’t seen or studied about its circuit components It’s based on the ESP8266 IoT platform using MCP3208 12 bit ADCs to sample voltage and current at high sample rates. It is an open source with all codes available. It is an open source with all codes available. It is an open source/open hardware project. Overall finally, it requires some knowledge to have final working setup. It is easy to assemble, do not requires great knowledge. But it is limited to very few quantities It is very easy to assemble. 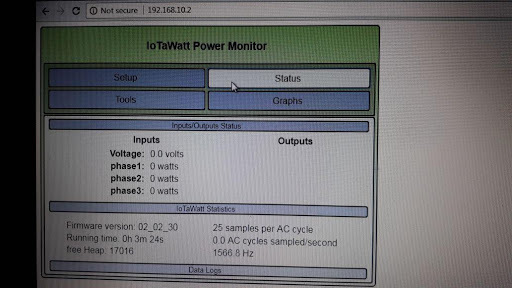 After consideration it was decided that Iota Watt was the most suitable device for load auditing. However before the Iota Watt could be installed at Al Mustafa, two things needed to be done. Get more equipment to undertake the auditing of this scale and test the Iota Watt in Pakistan as so far it had only been tested in South Korea by Sir Jawwad. 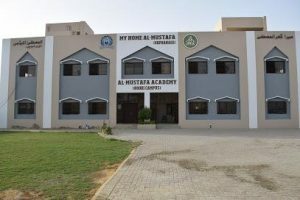 In order to install the Iota Watt at Al Mustafa for load auditing certain equipment had to be purchased. For this I and Syed Umaid Ahmed went to Saddar in May to purchase said equipment. Before the Iota Watt could be installed at Al Mustafa, it was required to be tested to see how it performs on Pakistan’s Power System. It was installed at Sir Jawwad’s home in Pakistan under his supervision by me and Syed Umaid Ahmed. The result of this test has shown that Iota Watt is suitable to be used in Pakistan can be installed at Al Mustafa.